THIS PROGRAM SUPPORTS RESEARCH FOR THE AMERICAN CANCER SOCIETY IN SC AND GA. In Cafe – Its always great to see you! Place a Catering Order – Orders for 5 or more guests. Pick Up or Delivery. Rapid Pick Up – Skip the line. Order and pay online. Small Order Delivery – Lunch and dinner for 1-4 guests at participating locations. Submit Receipts to receive a 15% donation for the Relay Team of your choice. Online – Upload receipts here on this site anytime Jan. 1, 2019- May 10, 2019. Order Panera Bread from now through May 10th and encourage your friends, family and teammates to do so, too. All receipts must be from within the promotional period (Jan. 1, 2019- May 10, 2019). All receipts must be uploaded to this site. 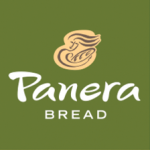 Valid only on orders placed at participating Panera Bread bakery-cafes listed in the entry form. Promotional period runs from Jan. 1, 2019- May 10, 2019. Valid only at participating Panera Bread bakery-cafés. Online submissions must include all receipts as attachments. All receipts must be presented in order to be counted. Receipts for Relay funds will take approximately 30 days from date of receipt submission to be reflected in fundraising totals.